Brackenhurst01263 715779work01603 870304fax Self-cateringNestling on the edge of The National Trust woodland, close to the village of West Runton lies the semi-detached property called Brackenhurst. The very pretty coastal village of West Runton has lots to offer with beautiful coastal walks leading down to the beach, the village offers places to eat,shops,a greengrocers, The Shire Horse centre or if you wish a journey on the the Bittern line you can travel to coastal towns of Sheringham and Cromer or further afield to the city of Norwich. Sofa bed in sitting room, can be used as alternative sleeping- maximum occupancy still 4. 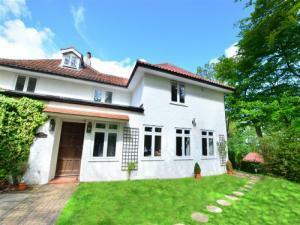 This lovely property is located in a peaceful location surrounded by National Trust woodland. Nestling on the edge of The National Trust woodland, close to the village of West Runton lies the semi-detached property called Brackenhurst. The very pretty coastal village of West Runton has lots to offer with beautiful coastal walks leading down to the beach, the village offers places to eat,shops,a greengrocers, The Shire Horse centre or if you wish a journey on the the Bittern line you can travel to coastal towns of Sheringham and Cromer or further afield to the city of Norwich.